Don't get too excited - this is like the time Eminem made Dido interesting for a week (approx) - but Ed Sheeran is doing some sterling work on Old School Love, a new song by "Loopy" Lupe Fiasco. "As long as I'm here, as long as you love me, give me that old school love right now," croons the ginger prince, while Lupe namechecks the greats of 80s hip-hop: "the Fat Boys and Juice Crews; Melle Mels, Ice-Ts, and the two Cools". 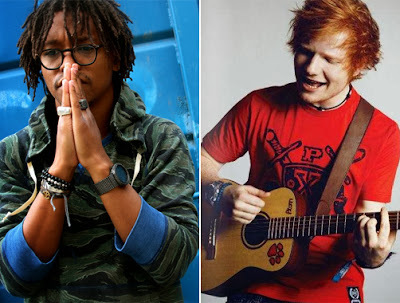 It's refreshing to hear Sheeran wrenched away from the blasted baby guitar he carries everywhere like a security blanket, and his unhurried vocals are a perfect fit for this laid-back jam - which is reminiscent of LL Cool J's Around The Way Girl. Taken from Lupe's forthcoming fourth album, Tetsuo and Youth, Old School Love is out now on US iTunes.